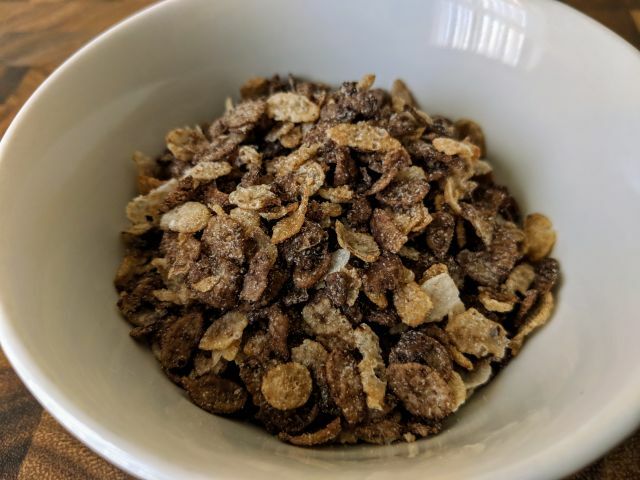 Kashi Starts a Kids' Line Called "Kashi by Kids"
Post's Peanut Butter & Cocoa Pebbles cereal features crispy rice cereal made with peanut butter and cocoa as well as natural and artificial peanut butter and chocolate flavors. It costs around $3 for an 11 oz. box but I received this one for free from Post. The Peanut Butter & Cocoa Pebbles cereal looks like mini corn flakes, including the upward curved shape. They're light, thin, and fairly flaky when dry but do not hold up well to milk and become quickly soggy due to their small size. I haven't had any of the Pebbles cereal line since I was a kid, but I remember these having a different shape and texture back then--perhaps something a little closer in appearance to Rice Krispies cereal but flatter and with a firmer crunch. Flavor-wise, the cereal boasts a notable peanut butter flavor that is roasty yet not overly sweet. The cocoa flavor is much lighter and takes more a supporting role to the peanut butter here. Against my expectations, the Peanut Butter & Cocoa Pebbles cereal was never too sweet. I think that the rich nuttiness from the peanut butter helped to balance everything out. 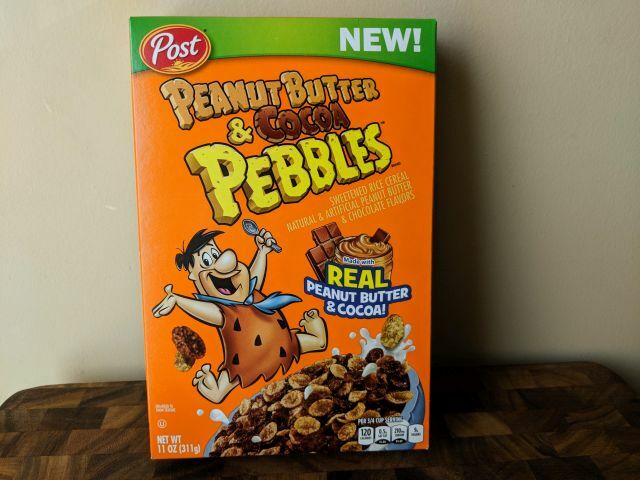 Overall, Peanut Butter & Cocoa Pebbles cereal is a nice twist on the timeless pairing of peanut butter and chocolate with a little bit more emphasis on the former. The texture leaves a little to be desired for me personally because I'm a slow eater and I wound up with a bowl of mush fairly quickly.